Pokemon GO is discovered for Australia and New Zealand. But Now, it is officially available in UK, Germany, US, Australia and New Zealand countries. If you don’t belong these countries and want to play Pokemon Go on your device, than there is no need to worry. Today we discuss how to download and install Pokemon Go to your Android phone without any region restrictions. 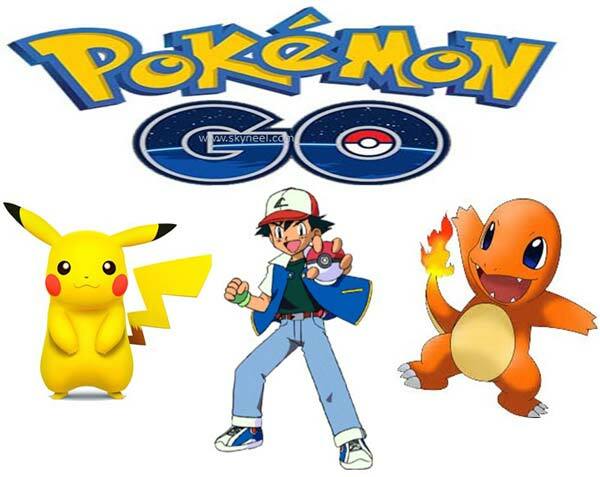 Pokemon Go game is recently developed by the Nintendo and Niantic, Incorporation. You can easily download and install Pokemon Go to your Android phone and iOS device. This games is break the barriers of popularity with the few days after launching this game. There are billion of game lovers who want to catch the pokemon and get the batch of pokemon master. Pokemon Go is free to play, GPS based reality mobile game which allow the players to win, capture, battle, and train the Pokemon. You have to find out different Pokemon’s and catch them for clearing the levels of this game. After catching more Pokemon you become more powerful. Now you can easily participate in Gym battles and league champion ship. By default this game is officially available only in UK, Germany, US, Australia and New Zealand. Rest of the Pokemon lovers are not able to download and install this game on his device. But there is no need to wait for official launch this game in your country. After reading this article you can easily download and install Pokemon Go to your Android phone without without any region restrictions. If you have to belong with other countries and want to download and install Pokemon Go to your Android phone then you have to take following steps. Step 1: Tap on the “Security” or “Privacy” option. Step 2: Turn on “Unknown sources” option. This option allows you to install different apps from different sources other than the play store. Step 3: Download the Pokemon Go on your Android device or iOS device. After finish the download process, install this game on your device. Step 4: After finish the Pokemon Go installation process turn on GPS location on your device to start playing this game. After installed this game on your device immediately turn off “Unknown sources” option from your device. Be careful to install the Pokemon GO Apk file from unknown sources. Most of the time your phone will be infected with different virus, malware to install any apps or game from unknown sources. So, start downloading and installation process of this game at your own risk. I hope after following all these steps you can easily download and install Pokemon Go to your Android phone or iOS device. You just create a new account and the player and ready to start play Pokemon Go game on your device. If you have any suggestion regarding this article please write us in the comment box. Thanks to all.